Move in ready home in Golden Eagle with recent updates from granite counter-tops (2018), new screened in porch (2019), newer roof (2016), refinished wood floors (2018), new paint and so much more. 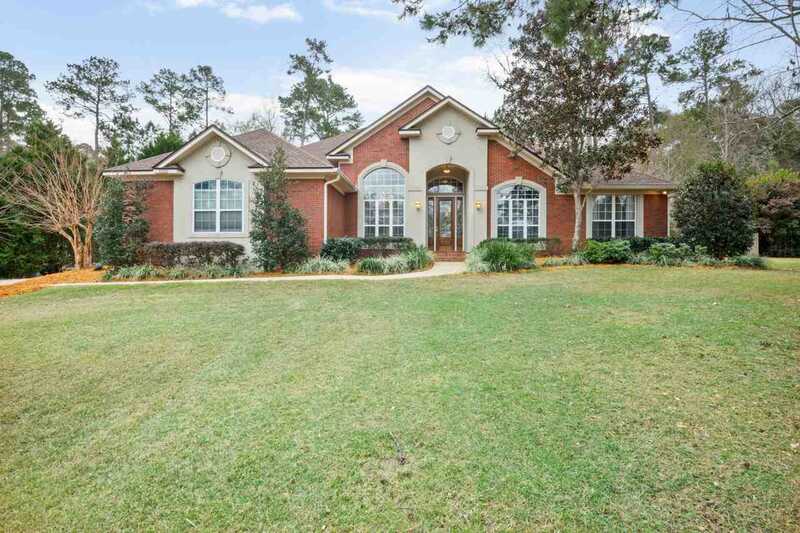 This full brick home has 4 bedrooms and 3 full baths along with a newer water feature in the back yard with a paver patio and fit pit for all those cool fall and spring evenings. This open floor plan has access to the dining room, family room, eat in kitchen with bar top to glass french doors for the office. There is a mother in law suite with a full bath that has access to the porch and backyard. Directions:Deerlake West to South Gate (Gates Drive) Right on Inverness. SchoolsClick map icons below to view information for schools near 8326 Inverness Drive Tallahassee, FL 32312.